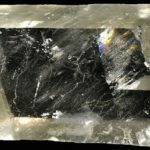 A phantom is a white cloudy mineral deposit within a crystal. 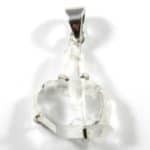 The deposit forms the same shape inside the crystal as that of the outer shape. The internal impression must follow the exact shape of the external crystal for it to be a true Phantom. 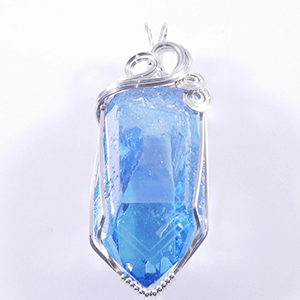 Phantoms form when a crystal stops growing for some time, usually due to the water supply at source drying up for some reason. When the water source begins again, the crystal starts to grow again, but leaves behind the impression of when it stopped forming for awhile. Some crystals can have just one or two Phantoms, others can have 20-30! Most Phantom crystals are found in Brazil, the USA, Austria, Switzerland and Madagascar. Phantoms can come in a variety of different crystals, although they are usually quartz based such as the Clear Quartz and Aqua Aura Quartz below. It is difficult to tell if a Phantom is true when it has been tumbled or carved in some way as we lose the external structure to compare it to. 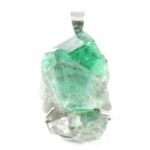 The phantoms within a crystal provide an indication of the experiences and the transformations the crystal has undergone in its evolution. 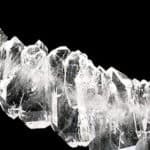 On a metaphysical level, Phantom crystals expand our awareness, enabling us to see the bigger picture. 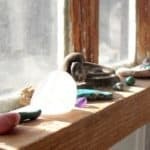 They are particularly good at teaching us about the cycles and wheel of life and can give a sense of magic that most of us have lost along the course of our lives. 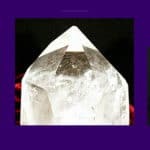 Phantom crystals can help us increase our awareness of evolution, in ourselves and in the world around us, showing how growth, rest, and rebirth cycle through all existence. Phantoms teach us about the process of life and growth and how to overcome obstacles to see life as a wondrous journey. Phantoms enable us to look inward, to look over the past and take responsibility for our part in matters if we played a part in a given situation. If we were not present, then Phantoms allow us to view a situation as a witness, to remain impartial so we can absorb all of the facts and see the bigger picture from all sides. Phantoms enhance our perceptive abilities and allow us to see different sides of a story, which is often essential when trying to understand and accept the behaviour of others. Phantoms can be used as a tool of meditation. Meditate or sleep with a Phantom and ask it to bring forth any information you need to know. 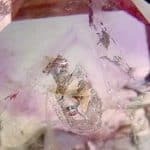 Please be aware that although a gentle crystal, Phantom’s dig deep and allow wounds from both this and past lives to rise to the surface to be examined and healed/released. 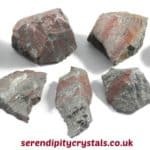 This can be quite a profound experience for some so I’d recommend always having a grounding stone such as Hematite or Smokey Quartz around when consciously working with a Phantom. Also have something close by that is emotionally supportive and soothing, such as Rose Quartz or Scolecite 🙂 Phantoms tend to connect with the higher chakras such as the third eye and crown, so don’t be surprised if you feel a tingle or whirl of energy in that area when picking them up. 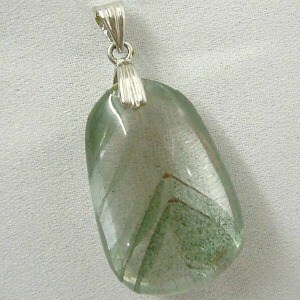 There are also Green Chlorite Phantom crystals, which are a specific green cloudy deposit within the crystals. Now remember, Phantoms must follow the external shape of a crystal. 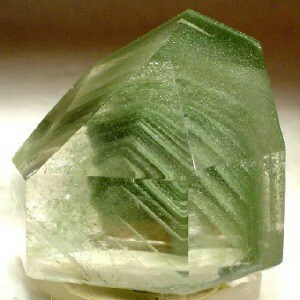 Just because a piece of quartz has Green Chlorite in it, does not make it a Phantom. 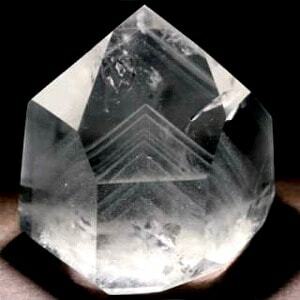 These crystals are called ‘Chlorite included quartz’ instead, which is very different from a Phantom. 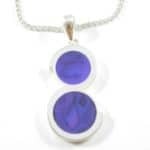 Please Click Here to see what Phantoms are in stock.